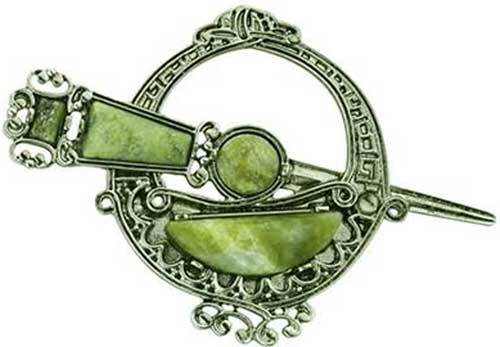 The Connemara marble that is featured in this Celtic brooch is the only natural green marble in the world; fittingly, Connemara marble is only found in Ireland. 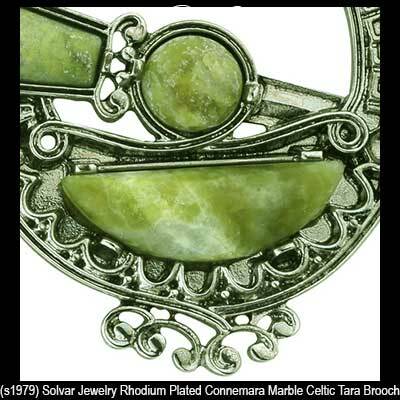 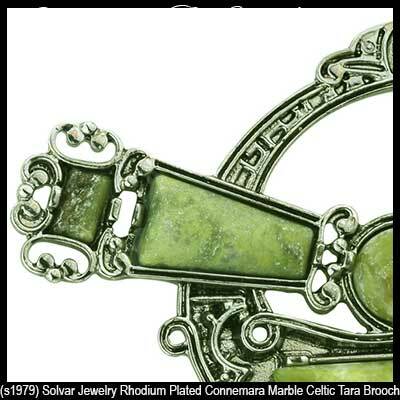 This Celtic Tara brooch features inlaid Connemara marble along with an oxidized rhodium plated finish. 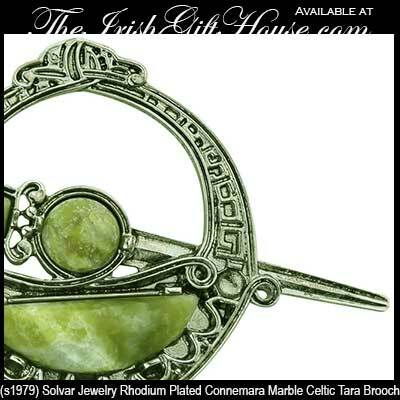 This large Tara brooch measures 2 3/8” wide x 3 1/2" long and it is gift boxed with a Connemara marble history card that is complements of The Irish Gift House.